This post is about higher education and employment in Madrid and asks the question, during my last year at high school, which bachelor degree should I go for? Spain is one of the European countries with the highest rates of unemployed people in the European Union, and in particular on youth unemployment, both in terms of youth unemployment rate -share of unemployed among active population- (53% versus 22% – the EU average), and youth unemployment ratio -share of unemployed among total population (19% versus 9% EU average). The Madrid metropolitan area is almost the equivalent size compared with the Madrid NUTS 2 area. 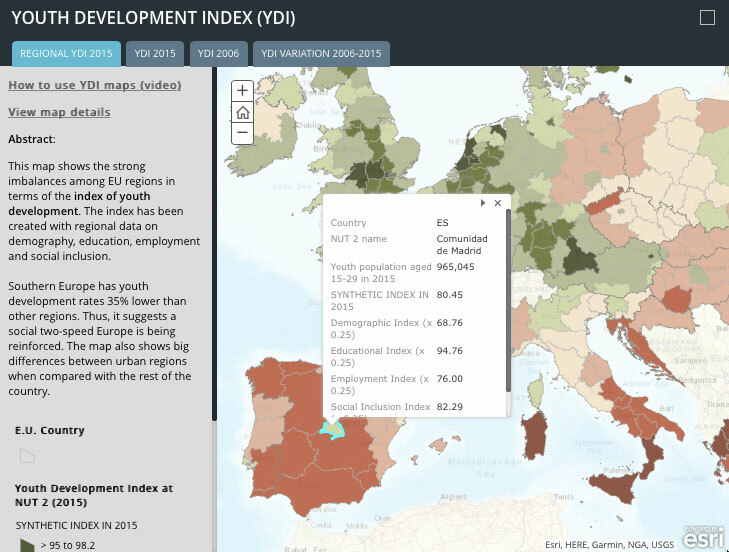 Despite this Madrid has the highest Young Development Index rate in Spain. It has a score of 80, and is on a similar level compared with northern regions of Europe. The employment index (score 76) is very low when compared to the European average. In contrast, the educational level in Madrid is one of the highest rates (score 95), a similar rate to other capital regions of the main European states (Paris-Ile de France, London, Stockholm, Wien, Warszawa), and higher than some others like Brussels, Berlin or Rome. One of the reasons explaining this high educational level in Madrid is the number and quality of higher education institutions and Universities where young people can get any bachelors degree qualification, in any specialty, with any field of knowledge, any professional training, as expressed by the YouthMetre tool. This also explains the very high position of Madrid in NUTS 2 tertiary educational attainment ranking: of 23rd out of 276. For its part, Madrid’s youth unemployment rate is a bit lower than the overall Spanish rate (44%, against 53% in Spain), but it is still much higher than the European average (22%), this is double the rate of youth unemployment in Europe. 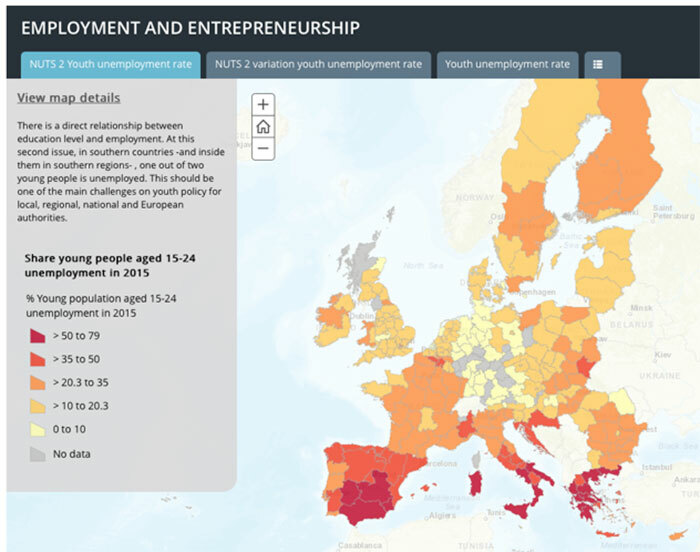 In addition, Madrid is one of the European regions with highest growth in the rate of youth unemployment between 2006 and 2015, with the NUTS 2 region having a high rate of long-term youth unemployment. This shows it is possible to obtain, visualize and re-use this information from the YouthMetre etool. Through the use of the YouthMetre, policy makers active in the field of education, but mainly mentoring and educational guidance professionals working in high schools can take inspiration, information as well as data support for their ideas and proposals. They can involve senior students in the Madrid high schools. Comparing regional and country-level data with students, professionals are able to identify the demands from their students and to take action in line with their needs. At the same time, the Youthmetre instrument gives youngsters the possibility for raise awareness about the unemployment challenge and to take a personal engage in the higher education training about the employability of their future preferred bachelor degrees. According to this survey, the first reason to choose a bachelors degree is power and salary of getting a professional profile. Self-esteem and feeling comfortable with the field of study were also important and professional achievements cited as the next reason. So, young people don’t study law, sciences, education or economy because they like these fields of knowledge, but they want to become lawyers, engineers, teachers or work in business. The idea is to combine the use of YouthMetre in senior high schools to acquire information about unemployment rates to help the senior high school students in their personal process of bachelor degree choice. 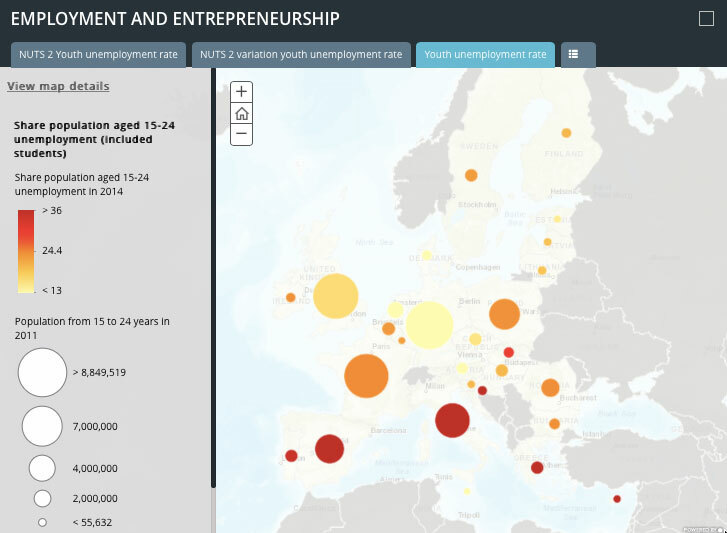 The YouthMetre can be used in combination with the report of the Bachelor Degrees Employability Report, published by the Spanish Ministry of Education. Inside this report, there is a lot of data, graphics and conclusions about the real employability of each bachelor degree. This will allow students and advisors to undertake an exhaustive and reliable analysis as it gets data from more than 190,000 people having a bachelor degree from a Spanish University. It examines the sitiuation four years after getting their degree. The research questions what is their situation according to the official statistics from the National Social Security Office? Are they working or unemployed? Are they working in a position based on their degree? Or are they underemployed? Project Proposal: How to implement Youthmetre at high schools? In the last year of high school (2º de Bachillerato) students must pass all the courses in which they are enrolled, they have to prepare a final exam to join the colleges (Prueba de Acceso a la Universidad, like the A levels) and they have to decide which bachelor degree to apply for and which University to go to. For this, they have about one hour per week workshop with a teacher who is a professional of mentoring and academic/professional guidance. 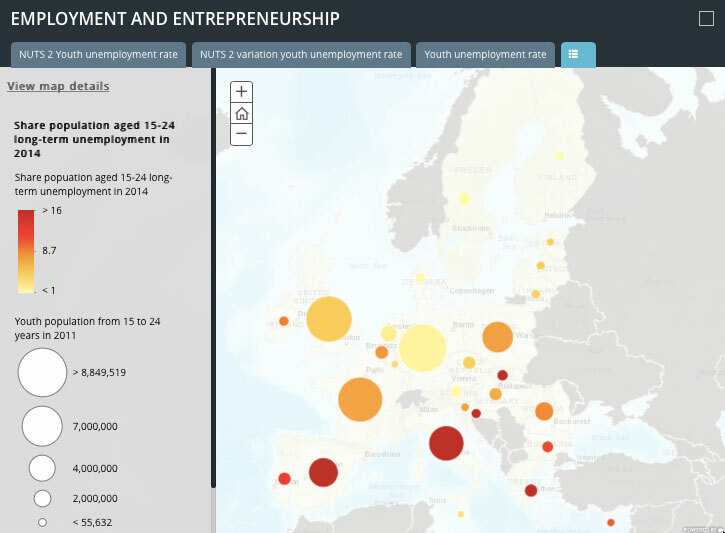 In order to raise awareness about the bachelor degrees, their real employability and their impact on the labor market at the metropolitan region of Madrid, we should encourage high schools and the CIAU to include the use of the YouthMetre together with consulting the Employability Report to give to the students the most accurate information.